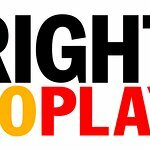 Olympic athletes are helping children around the world through generous donations to Right To Play. Gold medal winner Clara Hughes has pledged to give $10,000, all that she has in her savings account, to help the disadvantaged children that Right To Play supports. Joey Cheek has donated the winnings from his two medals, a gold and a silver, totalling $40,000. Cheek’s generosity inspired Yang Yang to donate the $10,000 prize from her bronze medal.